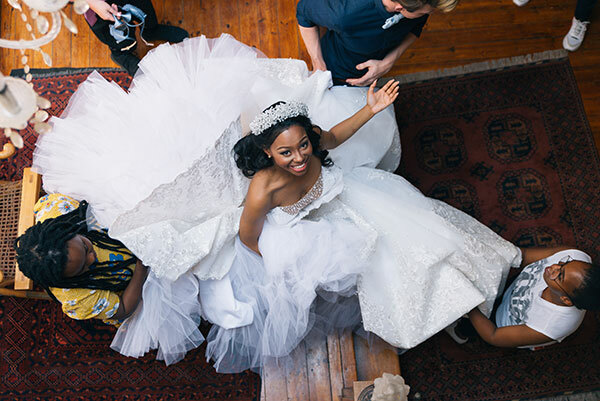 The River wedding special: designer flash facts & behind-the-scenes pics! 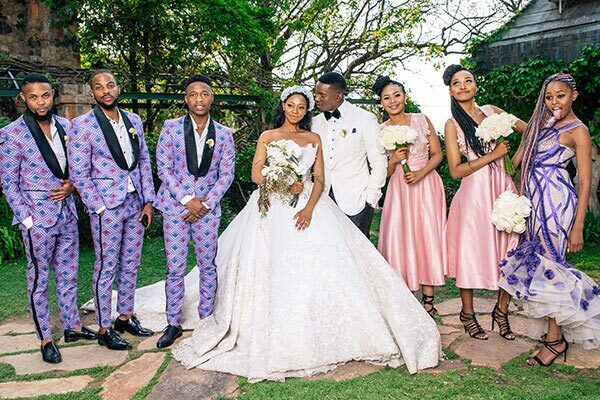 So The River's Zolani (Lawrence Maleka) and Tumi (Larona Moagi) are in the throws of their wedding celebrations, which fired-up last night (Wednesday 7 November). Their extravagant union takes place over three nights - it continues tonight and tomozz. 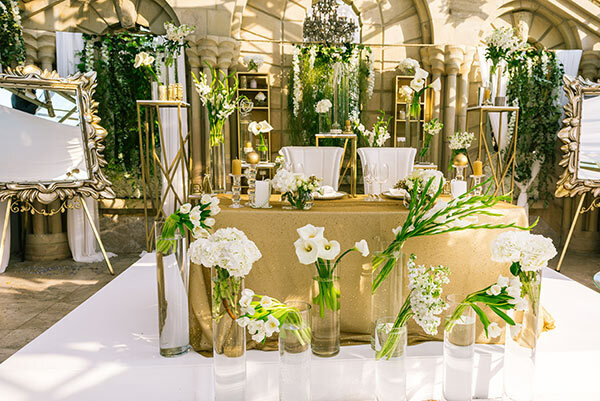 The wedding was flilmed at Shepstone Gardens in Joziburg. 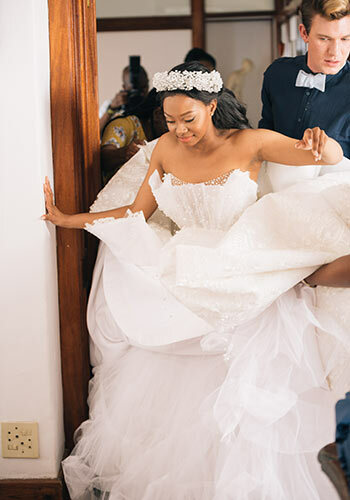 As you know, Tumi's dress was designed by Gert Johan-Coetzee. How to keep your costume clean before the cameras roll. 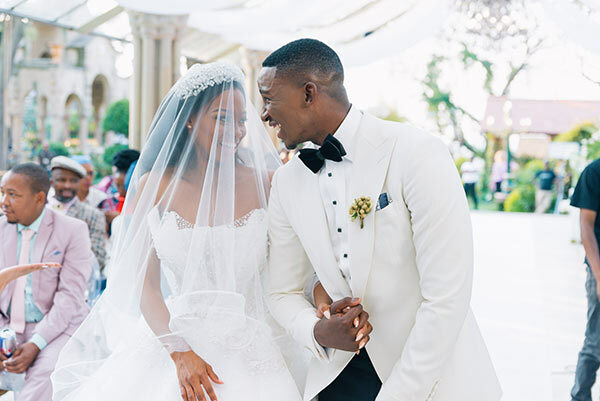 Zolani's suit was designed by Linda Makhanya of LM Tailored. 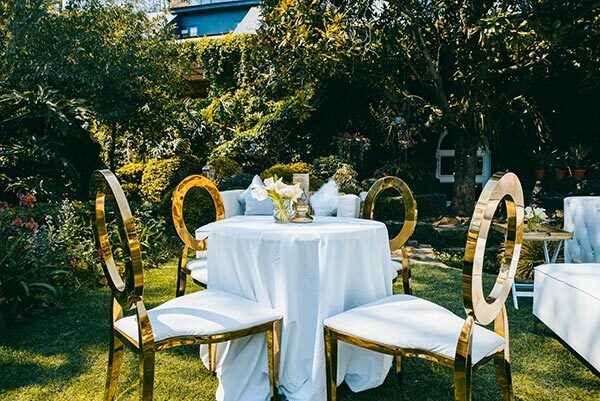 The set was designed by The River's set designer Amanda Scholtz with Lunga Khabanyane and Given Mabena of Givy's Designer Events, who assisted with the decor, flowers and layout. 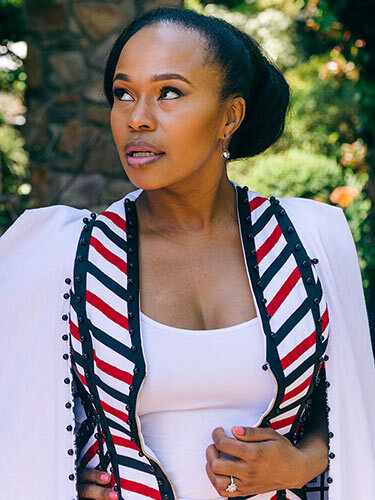 Lindiwe's (Sindu Dlathu) outfit was designed by Scalo Designer. 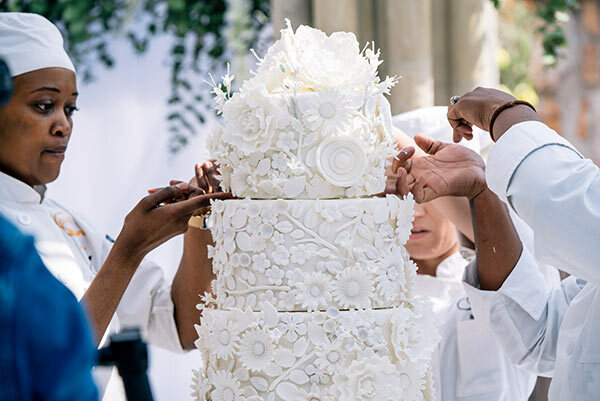 The cake was baked by Just Teddy in Newtown. 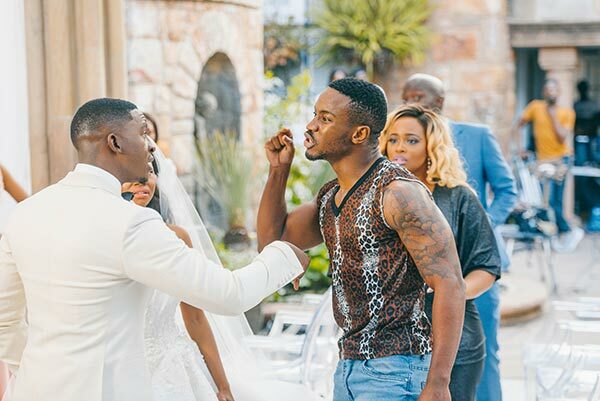 Lunga Khabanyane of Lungstar Creations designed the groomsmen's outfits and The River's Wardrobe Mistress Kgomotso Dipholo designed the bridesmaids' dresses. 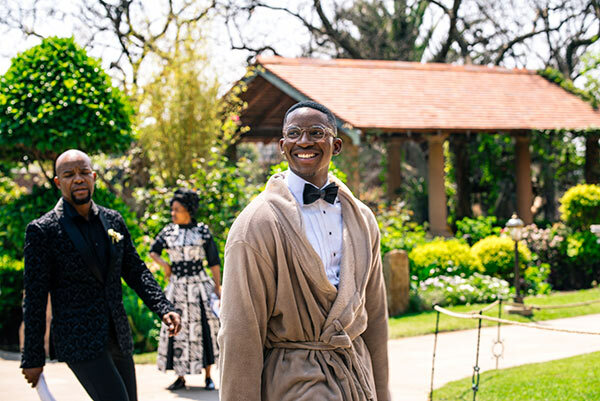 Beautiful wedding aND ALL THE GARMENTS WERE TO DIE FOR.. WHT A LIT WEDDING. 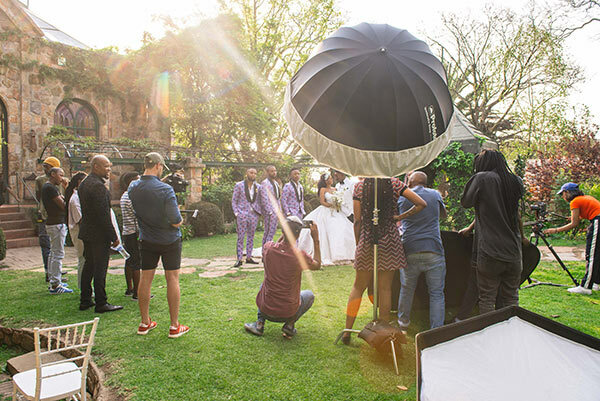 Love the Deco, crew and the vibe.. that was the best wedding ever ..
Phenyo and Dineo's wedding still reigns supreme! 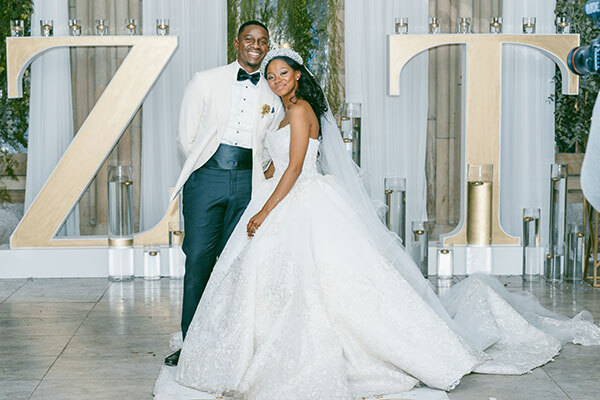 No other tv wedding has come close since. Its no longer playing on 103. @QQ, did you upgrade to Premium sana? @dezi...i beg to differ. 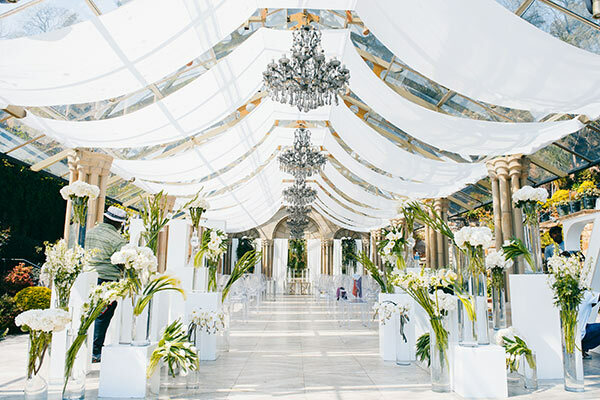 The best soap wedding up to this time is that of Shakira and Daniel and/or Erin and Tino. from SCANDAL. So far nothing has surpassed that. @pjvv,, i njalo sana..i joined the club.. kumnandi sana yiza..